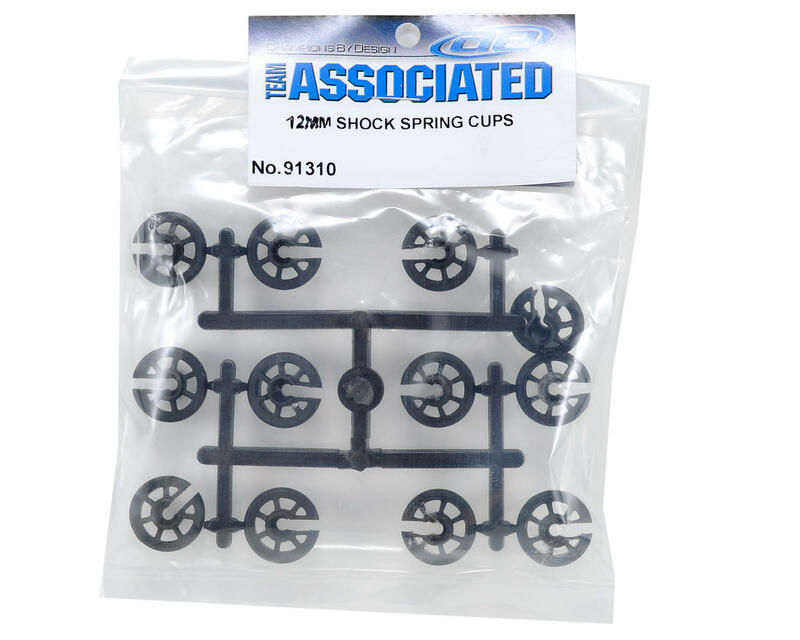 This is an replacement Team Associated 12mm Shock Spring Cup Set, and is intended for use with the Team Associated B4.1, B44.1, T4.1, SC10 and SC10GT 1/10 scale vehicles equipped with the optional Team Associated Big Bore Shock Set. This package includes three different sized cups, with four cups of each size. 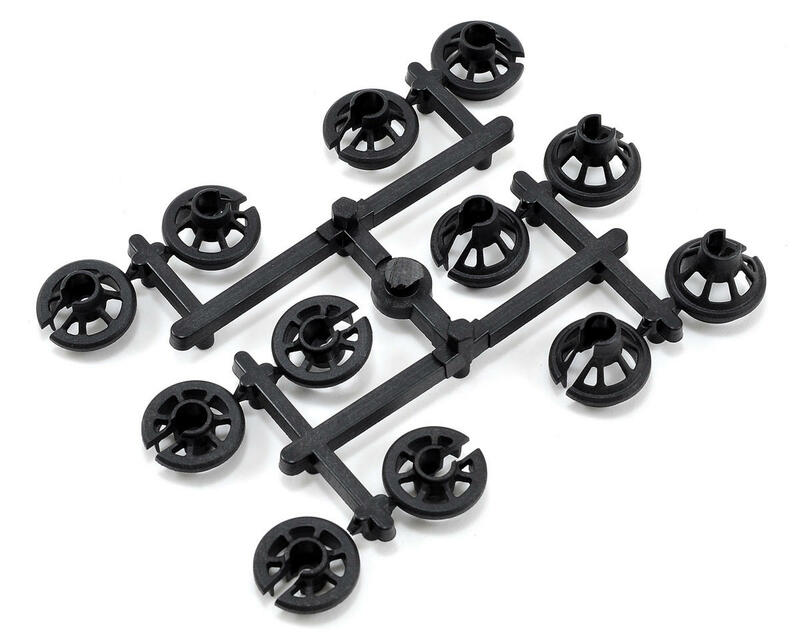 These spring cups can be used on the front or rear of the vehicle.